You might get to the end of this review and think to yourself ‘well, what did you expect, you went to a burger restaurant catering to meat-eaters’ but by way of introduction I’d like to explain that Jamie and I met with another couple whose favourite restaurant is Byron Burger. We had chosen the restaurant the last time we went out together, so thought it was only fair that this time we go to somewhere that they would definitely enjoy. I’d checked on Byron’s website and it suggested that they could cater for vegans well, so I thought there wouldn’t be any harm in going there, with the added incentive of the 20% student discount available. The smell was pretty off-putting on entering the restaurant, which wasn’t a great start. It didn’t smell like the cooking of meat to me though as you might expect, it was actually something else that I couldn’t identify but was equally unpleasant. 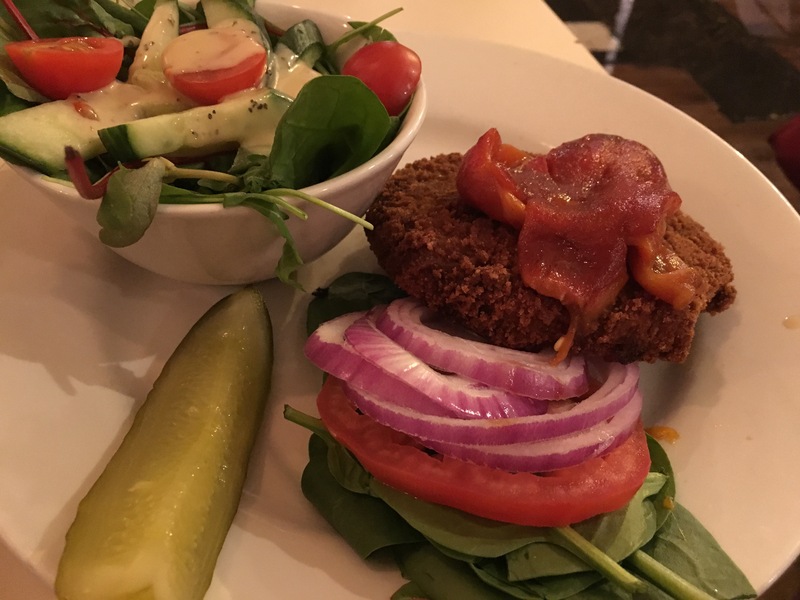 Having looked at the menu beforehand, I had intended to be good and just order a salad, but ultimately decided that as it was a burger restaurant their salads probably wouldn’t be anything too special, so instead I went for the bean burger. Vegans have to order it minus dressing and brioche bun, so it came with a side salad instead. 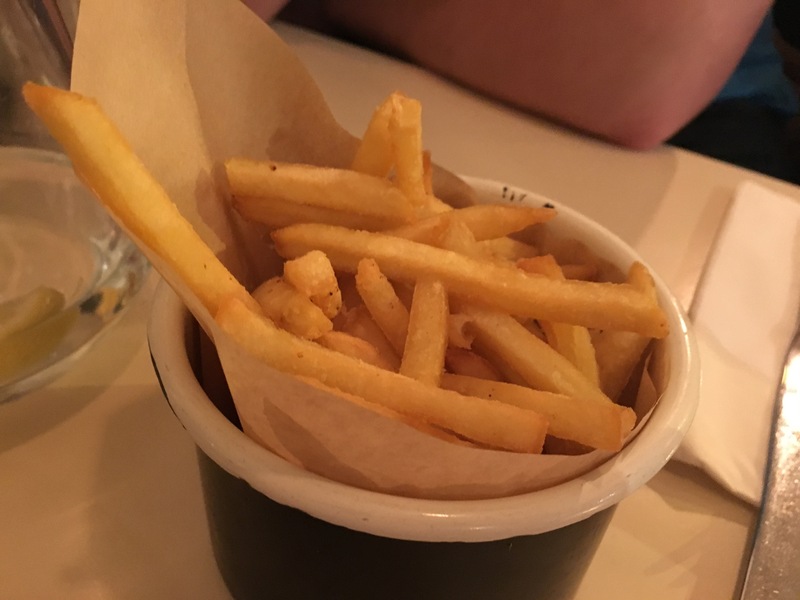 At Byron you are literally just ordering a burger, the chips etc come separately, so I ordered a portion of sweet potato fries. On top of that I also ordered a small portion of the quinoa, beetroot, and avocado salad (again without the dressing) which I thought actually sounded quite nice. 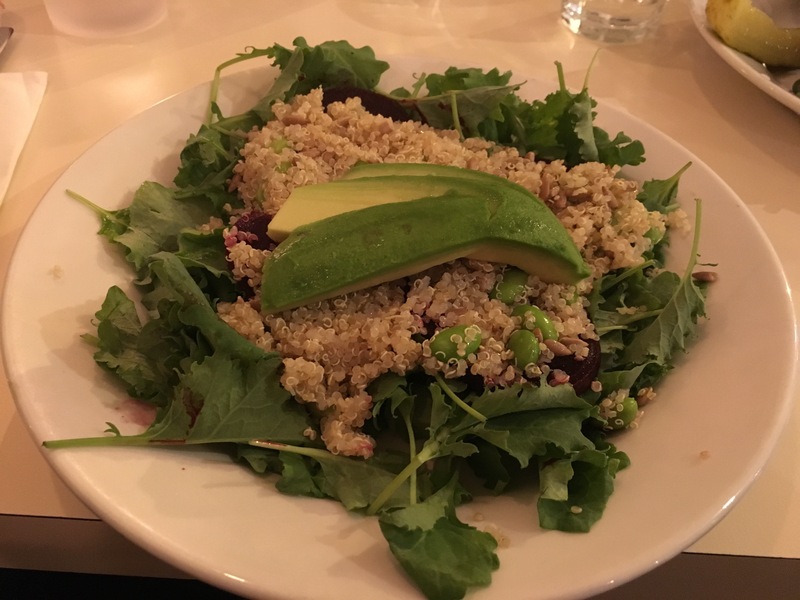 As I’d ordered the small version of the quinoa salad, I was pleasantly surprised at the size of the bowl, it was a generous portion of leaves, grain, with a good few slices of beetroot and half an avocado on top. Without the dressing it was quite plain, I don’t think it was seasoned at all. On top of that, it kind of smelled like my lunch on Fridays when I’ve done meal prep at the start of the week. It’s probably not going to kill you but you just know it isn’t that fresh, and it’s pretty off putting in a restaurant dish. I tried to explain to Jamie what I meant (him not being a fan of meal prep) but when he took a bite he was on the exact same page as me, describing it as ‘kind of like the taste of mouldy milk’. Needless to say I only ate a few mouthfuls, and all of the avocado which looked fine, before giving up – which was incredibly annoying for me as I hate food waste. No one else wanted to empty the plate either. Moving onto my main, the waitress hadn’t seemed overly confident when talking about the vegan options so when my side salad arrived with a suspicious looking dressing on it, I asked if she could check whether it contained dairy or honey. She came back and said it didn’t, but I gave it to Jamie. The leaves looked a bit limp and I wasn’t sure I was missing out on too much. Perhaps unsurprisingly, the burger was the best part about the meal. It was nice and crispy on the outside but soft in the middle, flavoured with lots of spices including cumin, with chickpeas and kidney beans. Essentially though this was a more polished version of a vegan burger that me and Jamie have made at home quite often. It came with a load of raw red onion which I avoided, and was topped with roasted red pepper which added another nice texture and helped the otherwise relatively dry burger go down. I felt that £8 was incredibly overpriced for what it was. 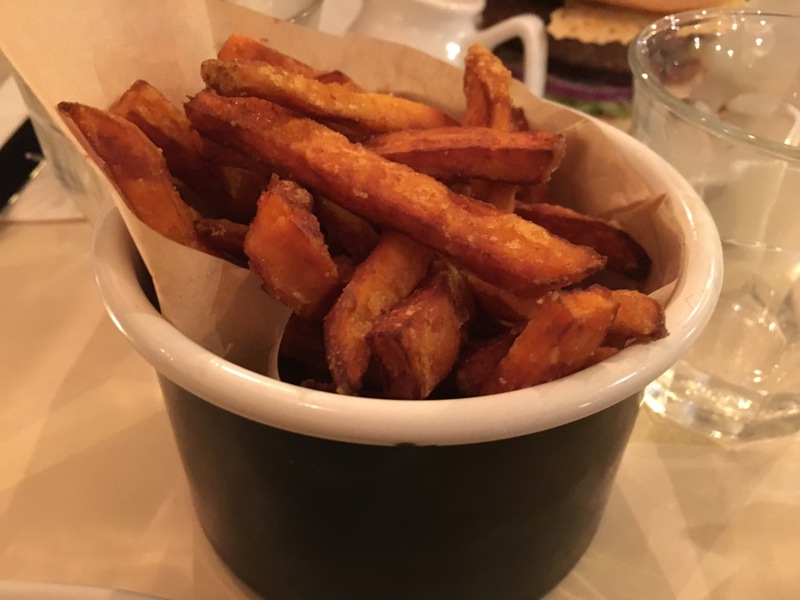 The sweet potato fries helped bulk out my meal, and they were cooked nicely, but I still felt hungry afterwards because it was really such a small amount of food. The service was good and we did have a lovely evening catching up with friends, but I definitely wouldn’t be in a hurry to go back to Byron. Jamie said the same of his food, which he was fairly uninspired by. Our lovely friends picked up the bill so it will be our turn to pay next time – and hopefully we can choose somewhere where the food is worth it! Any suggestions?